If you're at AFOLCON, use this discussion to keep those that aren't informed of what's happening. Really looking forward to hearing what's going on up there in Manchester. Mark Stafford explaining to his audience about the process he goes through to produce his Ninjago designs and his relationship with the cartoon designers. Yeah - keep 'em coming in!!! it feels like we are there. Thanks everybody for updates! Cheers for the pics @flump6523 I can see some of the usual suspects (DrDW and LIT) there. Have fun all. I'm sure Warren will give you a great long weekend. Guessing that Ninjago snake train behind him is a future set? Just a prototype and not for release....unfortunately! Crazy! Ask him if TLG are planning a Ninjago Monorail :P lol. One of the most entertaining talks I have had the pleasure of sitting in. "From Postie to Brickie". 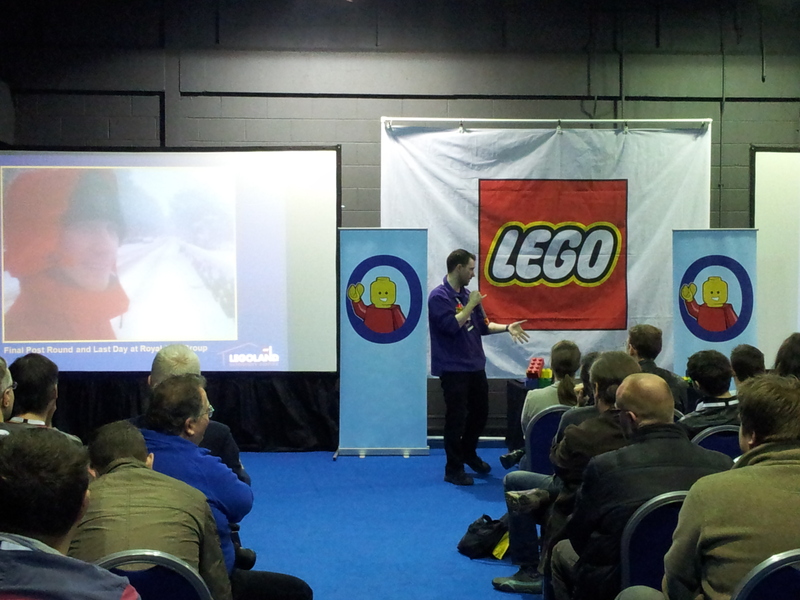 Alex Bidolak tells how from delivering letters for Royal Mail he became a Master Lego Builder for LEGOland Discovery. Yes, Alex is quite a character and seems ideal for the job. Did they talk at all about the Ninjago theme after the snakes? Amazing talk from Mads. Complete honesty about how the company screwed up in the 2000s and survived. 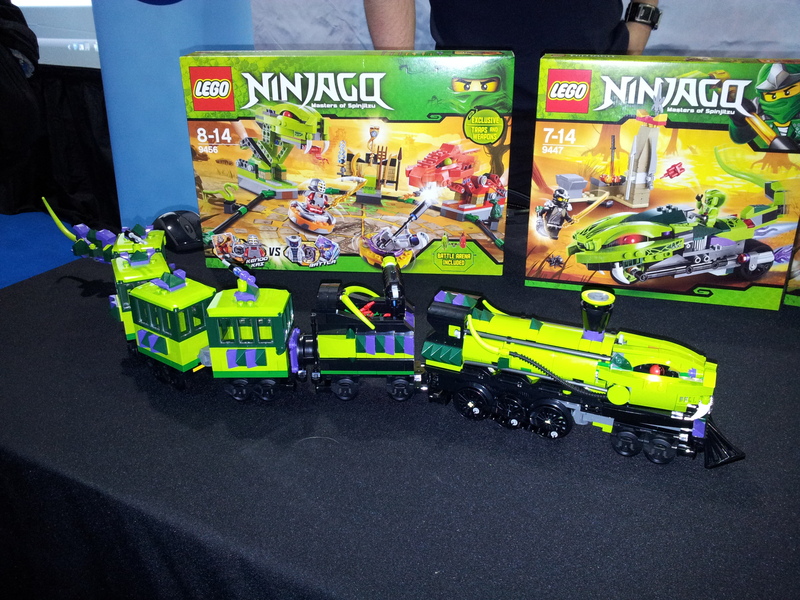 I enjoy seeing pics of the Ninjago train. When my son and I watched that episode with the train, I thought, "How great would it be to have them make a LEGO set of this?" Instead they appear to have made a LEGO set of that atrocious junkyard assault vehicle. We've had a couple of excellent sessions this afternoon. First off, Mads explained why the company declined in the early 2000s and how they recovered (by going back to their core products). He was an excellent speaker and his talk was worth the entrance fee alone. - The difference in quality of some Chinese manufactured parts is because it is not possible to import the same raw materials used at other plants, so it has to be sourced locally. - When someone rings customer services to replace a missing part, the call itself accounts for something like 75% of the cost of dealing with the complaint, so that is one reason why they send out a replacement part out f.o.c. regardless of whether it's actually missing or not. - But, they do keep records to prevent persistent 'offenders' taking advangtage. Just to add to Huw's summary of the day, we did briefly discuss the Fire Brigade 'missing bag' issue. The issue only affected batch number 39R1 and only for a very short period. What was responsible? The omittance of the 'inner' bag was down it not being added manually during the packing process. He did go on to accept that there scales ought to have picked up the faulty boxes and when tested the scales were working. How they slipped through is a mystery. Thanks for providing us non-attendees with photos and a quick summary of the days events. sounds awesome can't wait till Saturday. AFOLcon has been great so far.. it's been fantastic to meet up with so many bricksetters, and as I expected every single person I've met so far is as mad as a box of frogs. Bjarke of "Customer percieved quality" saying that he has talked to Wal-mart about the way they put returns back on the shelves - they are not supposed to do this, and is considering packaging which makes it more obvious if it's been opened already. Also that the trend away from baseplates is partly a quality issue as the studs next to the corner studs on the 48x48 plates lack clutch, also that the flex makes it hard to move models around. Mads saying that even if Friends didn't succeed, Lego would keep trying over and over to get the right product for girls - they'll never give up. Also hinting that a new TV tie-in is in the works for 11-ish year olds. ^ a tie in for girls/friends or more generally just another lego tie in? Thanks for all the updates, keep them coming! No surprise at all on the 'missing' licensed figures issue. I have said this for a long time that I reckon a lot of alleged missing parts are people trying it on. It's so annoying some of these human traits that rise to the surface! So many questions answered. And so many new ones raised. Thank you. Good to know! ^ must be because he's always on about how much he loves Friends! ^why did you think otherwise! Lol. Sounds like a great insight into the company and 'behind the scenes'. 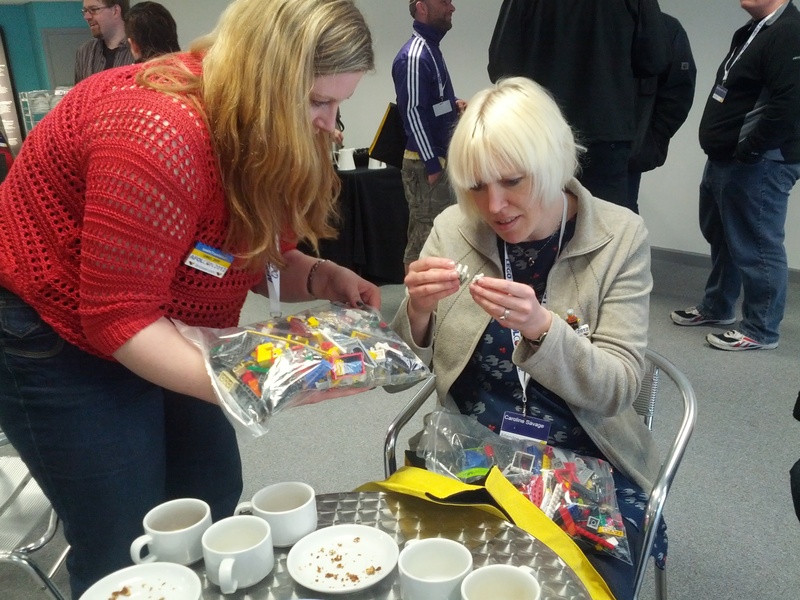 The attendee lego bundles look great! Maybe he thought he was an actual flump? -Seeing the evolution of the Ninjago samurai mecha, and the snake train. -And in so doing also point our an instance of colour variation between two elements to Bjarke - I said something useful!!! -Generally hanging out and chatting to people!! Much of LITs highlights were the same as mine. Including her dance off. Great day. Looking forward to tomorrow. Hope peeps bring their kilo's back, I love seeing what everyone's got! Tucked up in bed. Had a great first day. Really enjoyed the talks but meeting people makes these events for me so everyone I've had some crack with today thankyou and goodnight! The day's been a gooden. Was made even better by Doc and Lost's dance off!! The Ninjago Train looks fantastic. Too bad it is only just a prototype, crossing my fingers for an actual release. Well I think I can summarise yesterday with a single word...wow! 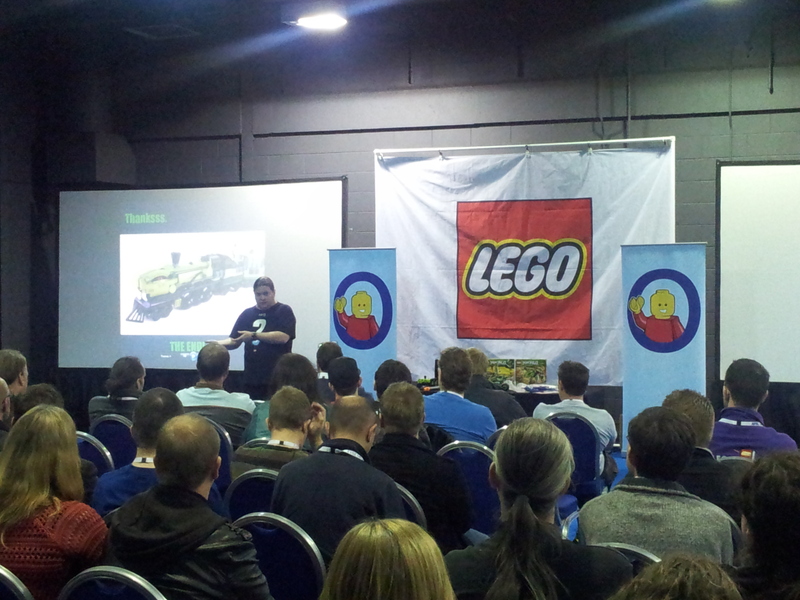 Last year I only visited the LEGO Show but the AFOLCON experience gives so much more. It's been great to meet some of the more well-known names from Brickset and other sites, and also gain some fascinating insights from TLG designers and execs. Looking forward to more today.